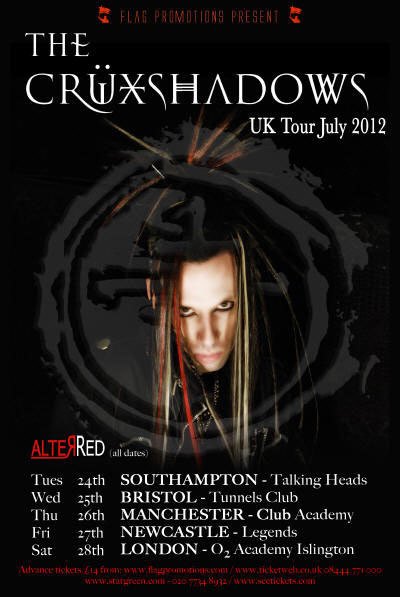 We will be opening for The Cruxshadows at The O2 Islington Academy on Saturday July 28th. Also playing will be Alterred and Kommand + Kontrol. See the Facebook event link below for more info and details of how to get specially priced tickets. ~ by calumgray on July 18, 2012.